Will the Horseshoe bring you good luck? There are no guarantees but if done right, this style can bring you a good look, at the very least. It’s ideal for men with round or angular faces but not for those with long or oval faces because it will only accentuate the facial length. 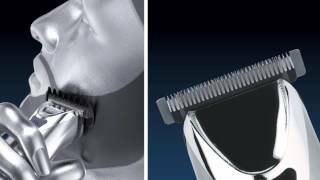 Using your Wahl® trimmer or a shaver, shave or closely trim your cheeks, leaving the mustache, chin and area surrounding the mouth untouched. Using Wahl® trimmer, trim the upper edge of your mustache to create a sharp border, leaving just a half-inch of hair. The hair should create a continuous horseshoe shape from above your lip to your chin.